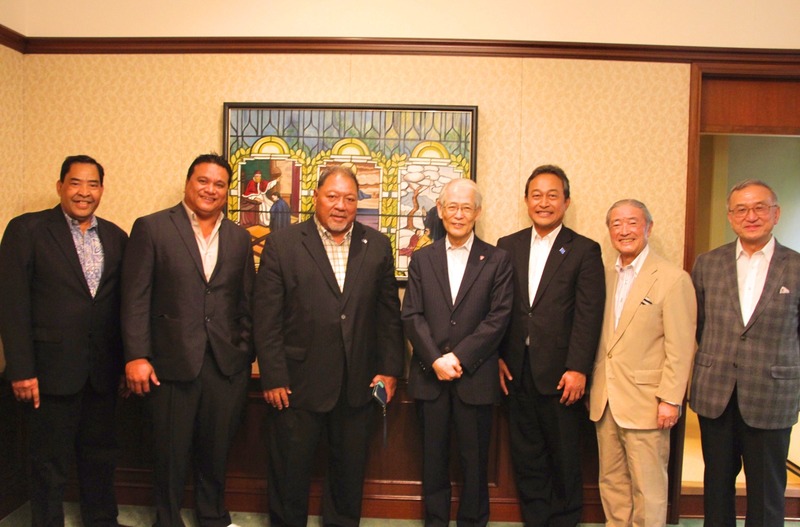 Chancellor Kōso of Sophia School Corporation hosted a luncheon at Sophia University on August 25th. Among those in attendance were Sen. Urusemal, former president of FSM, Ambassador Fritz, and Mr. Kōso, among others. 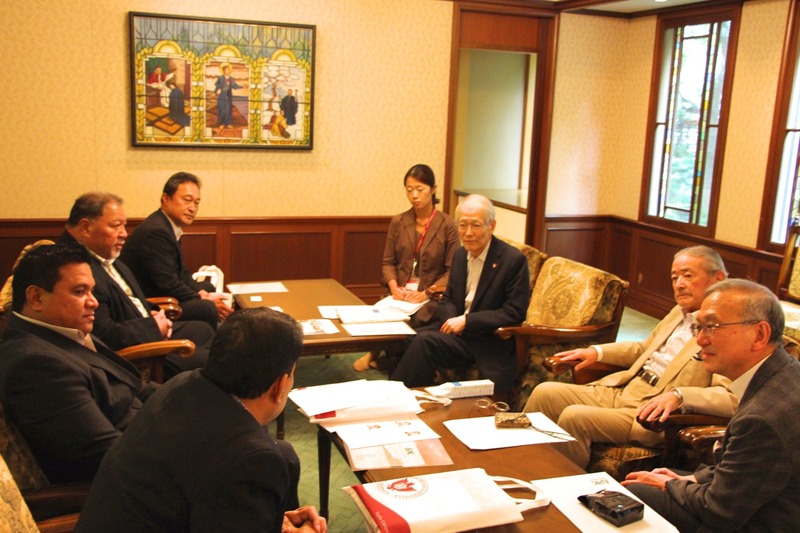 Before the luncheon, a conference was held at Sophia University’s reception room where Chancellor Kōso talked about the ties between Sophia University Graduate School’s Global Environmental Studies program and Micronesia, as well as the importance and meaning of the Xavier High School exchange student program. Sophia University has appointed Xavier High School as its exchange school, and currently three Xavier students are matriculating at Sophia University. In addition, two new Xavier graduates are expected to be entering Sophia University through the exchange program as freshman this year. Senator Urusemal expressed his gratitude to Sophia University for accepting the Xavier exchange students, and added “We want to keep thinking about and developing education in Micronesia. We also want to students to know not only about the governmental ties between Japan and Micronesia, but also about the ties between the people of Japan and Micronesia.